With your choice of over 100 golf courses to play across the Grand Strand, you are guaranteed not to have to go far to get to the courses that you will be playing for your North Myrtle Beach golf package. Not only will you be close to the golf courses for your North Myrtle Beach golf package, but you are close to all the popular attractions, amusements, several entertainment options as well as a huge variety of restaurants to visit while here for your North Myrtle Beach golf package. The golf courses in the North Myrtle Beach area have wide and lush fairways, many natural landscapes including water hazards and bunkers plus you get a high level of service that will exceed your expectations. Each golf course that you choose for your North Myrtle Beach golf package will test your skills and challenge your game with each shot. 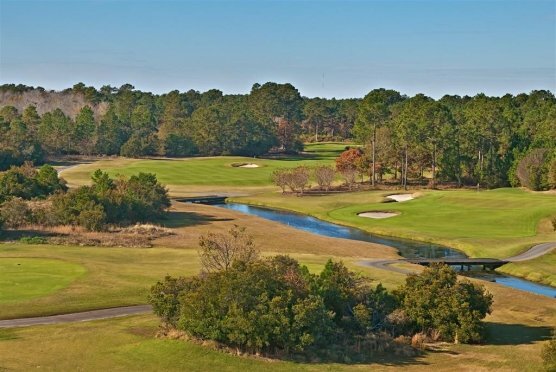 Whether you are looking for shorter courses, championship courses or are just looking to knock some dust off the clubs, the northern courses are a perfect addition for your North Myrtle Beach golf package. The Grand Strand consistently has several of the top courses ranked annually by Golf Digest. 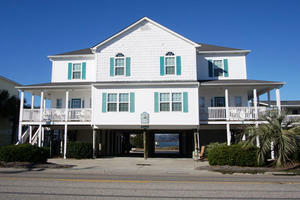 Be sure to add a few to your North Myrtle Beach golf package. When it’s time to book your next golf vacation, call Myrtle Beach Golf Authority. We will help you select a perfect course (or two or ten! ), book your tee times and all that you have to do is bring your clubs! The Grand Strand is a golfers paradise and with millions of rounds booked each year, it’s easy to see why. Get your group together and pick your courses you want in your North Myrtle Beach golf package, then call us and take advantage of our knowledge and expertise to get you the best deal in the Myrtle Beach area. Rest assured that any course that you include in your North Myrtle Beach golf package will give you all the memories that will last a lifetime.